There has never been a better time to order your new Lister Historic Racer or Road Car! We have just returned home from an amazing 4 days at the London Classic Car show where we welcomed scores of car enthusiasts to our stand. 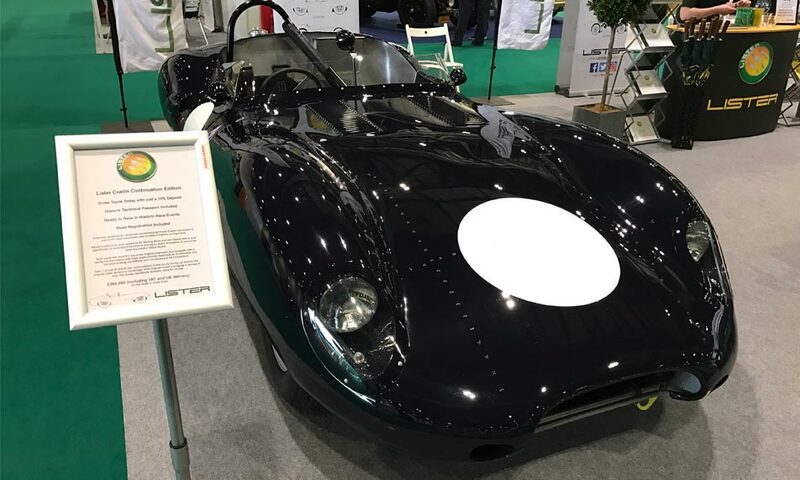 We showcased to the public the Lister Costin, a Rolling Chassis with Engine and an original 60th Anniversary Knobbly. We were also thrilled to see several existing owners, suppliers and friends at the show, as well as introducing Lister to some new customers who have pledged deposits for new cars this weekend. Carl Hartley from Tom Hartley Cars also stopped by and gave us the thumbs up. Lister Self Assembly Kits start from £195,000 including VAT and UK Delivery. Lister Costin Road Spec cars start from £295,000 On The Road!